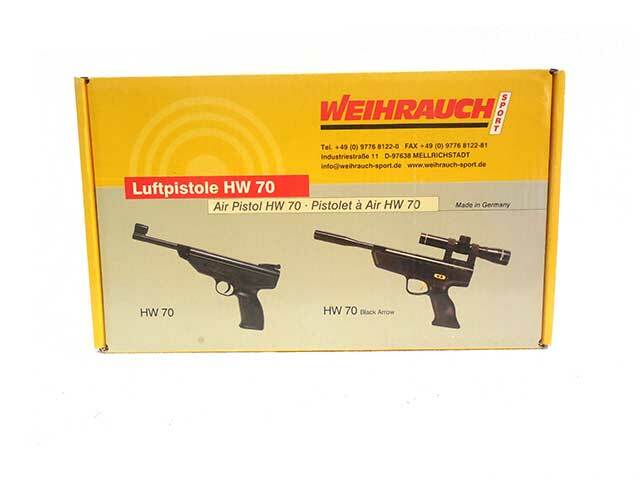 The Weihrauch HW70 is a German manufactured .177 caliber break barrel pellet pistol. 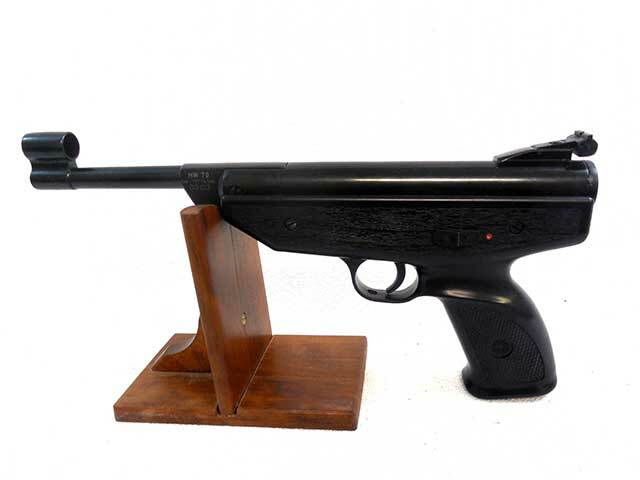 It has adjustable rear sights, and hooded front sights. 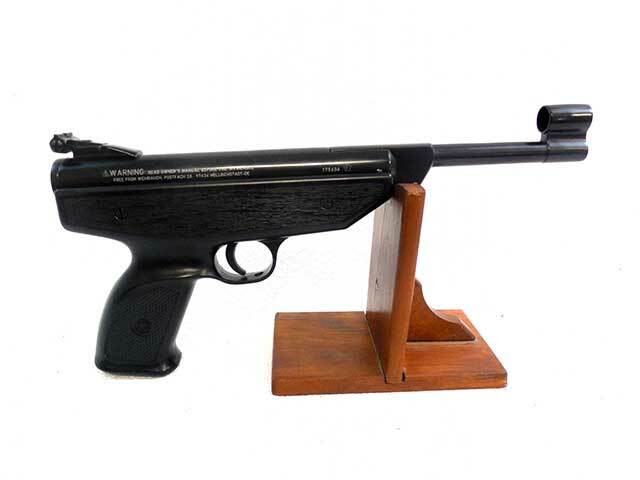 The plastic, metal, and finish are in excellent condition. 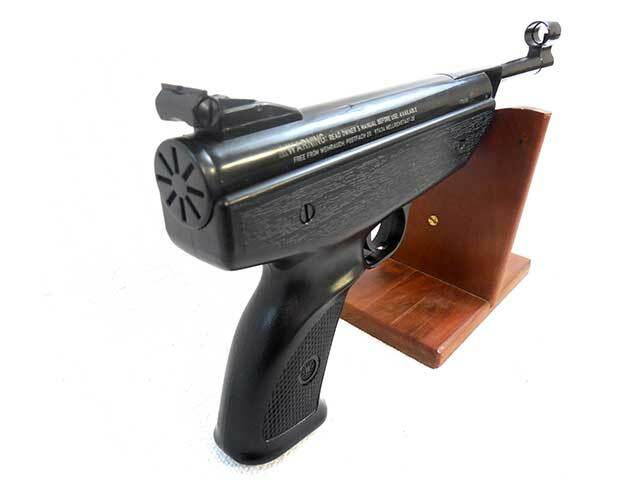 This makes a pretty nice match pistol, but is also fun for just plinking.